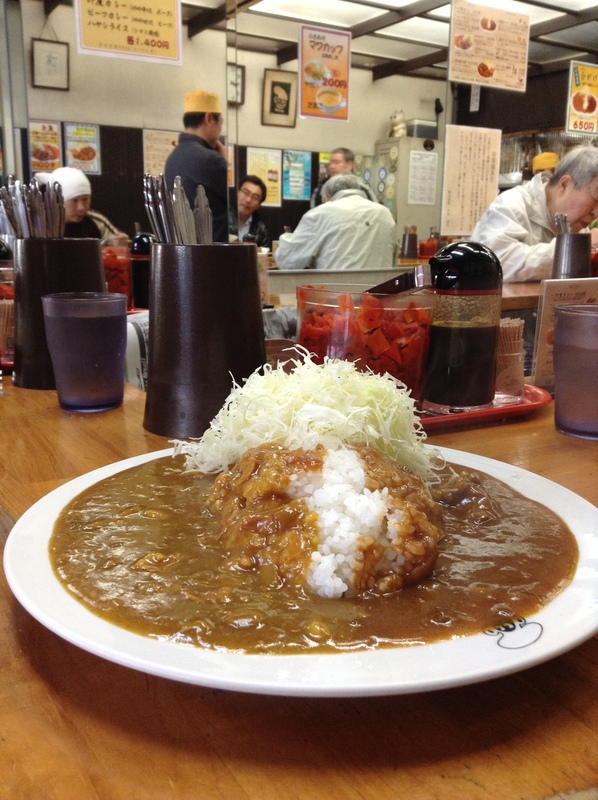 For over 100 years Indo Curry Nakaei 印度カレー中栄 has been making it’s spicy curry for the market workers. The original shop, in Nihonbashi, opened in 1912. Nihonbashi is where the fish market was before it moved to its current location. The curries here are made from scratch and the portions are large, perfect for workers from the market as they finish their day. In the short ten minutes that I was seated, a half-dozen workers came in. They are easy to recognize from their knee-high boots. Another worker came in and ordered several for take-away. 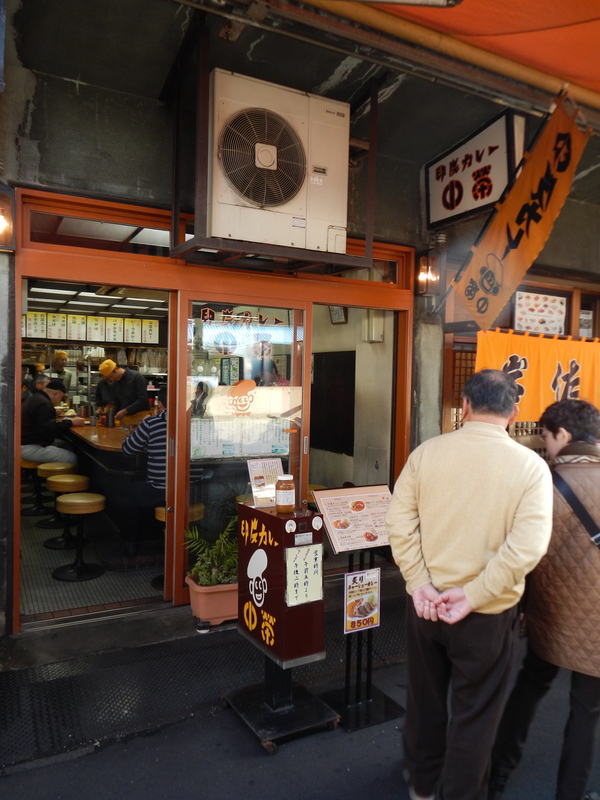 Most visitors to Tsukiji insist on eating sushi as it is as fresh as it gets. And while that may be the case, long lines are now the norm. On top of that, diners are crammed into their seats, are often only served a set “omakase”, usually for about 3,675 JPY, and rushed through their meal. For that same price I would much rather wait until lunch time, sit down at a notable restaurant in Ginza, the glitzy shopping district bordering Tsukiji, and be allowed to linger and take the time to enjoy my meal. It’s possible to order half & half which is what you see above, the karakuchi and tomato fumi. The pork curry, simmered for six hours, packs a spicy punch, enough to warm your body up now that it’s getting cold in Tokyo. The hayashi rice is slightly sweet from the tomatoes and other vegetables used in this dish. It is also a nice way to balance the heat from the curry. Note that the rice portion is large, so if you aren’t that hungry or are planning to graze in the outer market, ask for less rice “gohan wa sukuname”. The tiny cafe has a long U-shaped counter with space behind it for only one. The counterman is a skilled multi-tasker; greeting regulars by confirming their usual order, explaining the menu to newcomers, serving drinks and curry, and managing the cashbox. The kitchen had three staff, the most senior who manned the stove. And, not sure, but by the photo on the website, it looks to be a family affair. 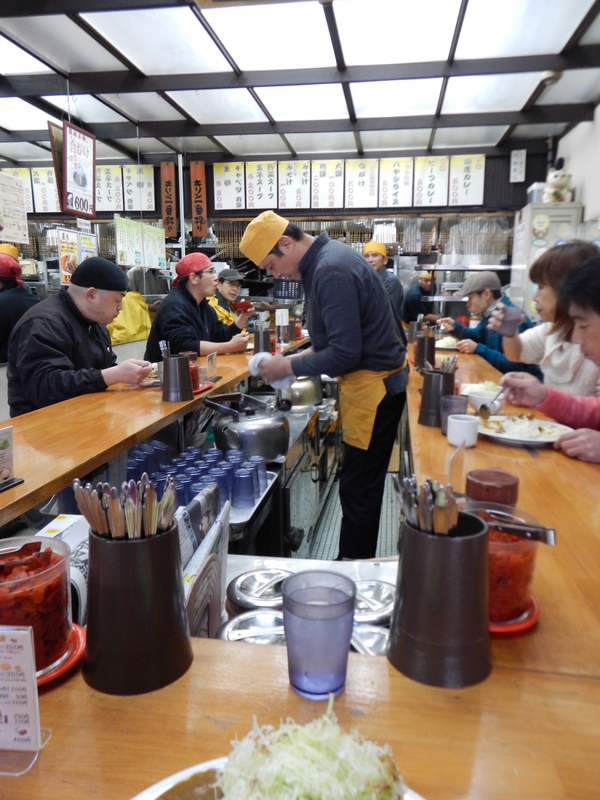 On this day, seven of the diners were Tsukiji fishmongers and three of us were visitors. The restaurant was very welcoming to us. 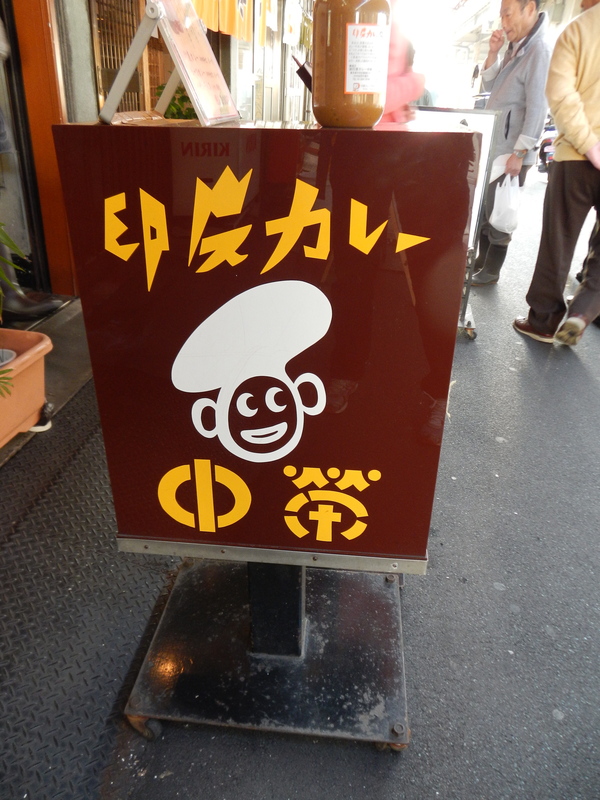 This popular shop is often featured on gourmet television programs. And bottled curry is sold to take home as a souvenir. If you can’t be bothered with queuing for your sushi or want to kick-start your day with curry, grab a seat with the workers from Tsukiji at Indo Curry Nakaei. MAP of location within the market. Other Tsukiji Market cheap eats.